Prometic Life Sciences & Tesla. Investors in these two companies are living a painful reality of price drop shock. Both companies are trying to deliver a promise of the future to both shareholders and the world. They are cutting edge, unique companies that could or have driven global change. Tesla Inc. shares sank more than 7% Monday April 2, 2018, suggesting investors were in no laughing mood over Chief Executive Elon Musk 's bankruptcy jokes as the electric-vehicle maker grapples with the aftermath of a fatal crash and prepares this week to release production results. The drop to $248 a share in early trading extended a selloff that has lopped off 36% from the stock since its peak in September. On a company that was worth well over 50 billion, this was a huge decline and material loss. Prometic Life Sciences delivered news that wasn’t an April Fool’s joke. A drug that was projected to be approved by the FDA in April of this year would be delayed 6 – 9 months. Their shares dropped about 50% in the aftermath of the bad news. Regardless in disparity in size between these two companies (Telsa is about 50 time larger), they have both significantly disappointed shareholders. Seeing your darling fall from grace is never pleasant. But the question now is the fall in price a buying opportunity; or, is the price of the security now reflecting what each company is actually worth? A reasonable approach is to see what the analysts are reporting. There is an old saying that if you can get two economists to agree on something, you have collusion. If this is the case with analysts, then there is certainly no collusion in the case of Prometic Life Sciences. The price disparity between analysts after recent news regarding Prometic now varies from $0.60 to $7.00 in the coming year. This is a massive difference of opinion considering analysts have access to the same information. So how to determine who is more right? Definitely, some analyst will be more correct than others. But when and at what price? If the professional analysts can’t come to reasonable consensus, what hope is there that the average person can get it right? Imagine going to a repair show with your car. One mechanic says you have a tire with low air pressure. The next says the front end of your car could fall apart. One fix is free, the other will cost you thousands of dollars. Both mechanics may believe they are fair in the analysis of what repairs should be made. One may have considered the age & mileage of the vehicle and felt that replacing a whole bunch of parts would be prudent to be on the safe side, whereas the other simply stated the economical fix to repair the obvious problem. The real truth is likely somewhere in between. One may be too careful and the other, to casual. Whether trying to diagnose a reasonable expectation on the future price of a stock, or what your repair bill should be on your car. You can get other estimates and see what shakes out. In the case of Prometic Life Science’s, there were at least a half dozen analysts’ reports published after their recent bad news. Collectively estimating the average price in 12 months should be about $2.15 per share. Regardless of what you are buying or paying to repair, we hope to pay a fair price. But often we’d find we got quoted extreme variances around the fair price if we bothered to check prices. With investing, very often prices fall for a reason; but they can also fall too far, just like they can rise too much. The truth is often between the extremes. If you keep this in mind when it comes to investing, you can take advantage of the huge swings in the market, if you have the stomach for it. It pays to get educated on how to spend your money wisely. There is a reason people say PAY attention, because if you don’t, you’ll likely pay. All information and charts used for this report, including Featured Canadian Dividends, Featured American Dividends and Featured Commodities Driven Dividends, are courtesy of QuoteStream, Bloomberg, Google Finance, Yahoo! Finance and Morningstar, Inc. Prices and other numbers associated in this newsletter are accurate as of the date of publication. The comments and opinions expressed herein reflect the personal views of Miles Clyne. They may differ from the opinions of Leede Jones Gable Inc. and should not be considered representative of the research beliefs, opinions or recommendations of Leede Jones Gable Inc. The information included in this document, including any opinion, is based on various sources believed to be reliable, but its accuracy and completeness is not guaranteed and Leede Jones Gable Inc. does not assume any liability in providing it. The information provided is current as of the date appearing on the document and Leede Jones Gable Inc. does not assume any obligation to update the information or give a description of further developments relating to the securities or material discussed. It is for information only, is subject to change at any time, and does not constitute an offer or solicitation to buy or sell any securities referred to. The information presented here and any financial service being offered is directed only at persons who are residents of a Canadian province or territory where Leede Jones Gable Inc. is licensed. Leede Jones Gable Inc. is not permitted to recommend buying, selling or holding securities of any issuer to which it is related, and in the course of a distribution, to which it is connected, unless it makes a complete statement of its relationship, if any. Leede Jones Gable Inc. is not permitted to recommend buying of any secondary market securities of an issuer for whom it is actively engaged as an underwriter of a new issue. Leede Jones Gable Inc., their affiliates, directors, officers, and employees may buy, sell, or hold a position in securities of a company mentioned herein, its affiliates or subsidiaries, and may also perform financial advisory services, investment banking or other services for, or have lending or other credit relationships with the same. Directors, officers or employees of Leede Jones Gable Inc. may serve as directors of any company mentioned herein, its affiliates or subsidiaries. © Leede Jones Gable Inc. 2018. 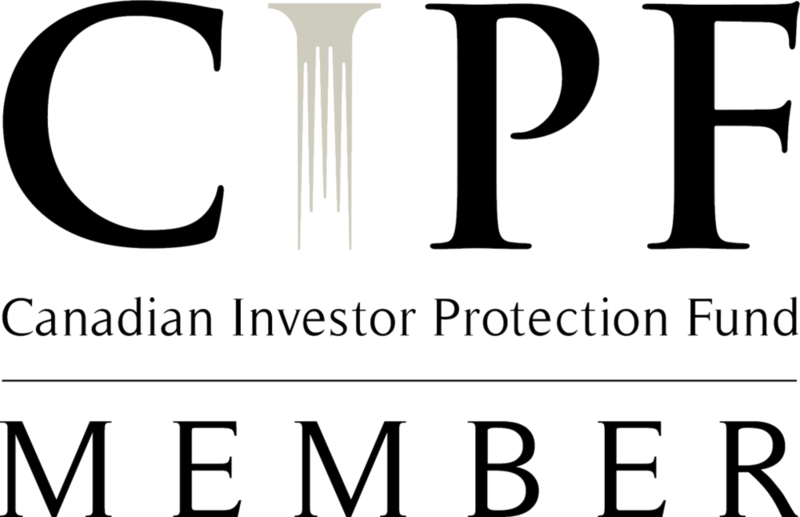 Member CIPF and IIROC.